Australia is a big place, and there is much for tourists to enjoy when they pay it a visit, no matter what personal preferences need to be taken into account. This list will be able to give you a small idea of just how much Australia has to offer, and may perhaps help you plan your getaway around specific activities. 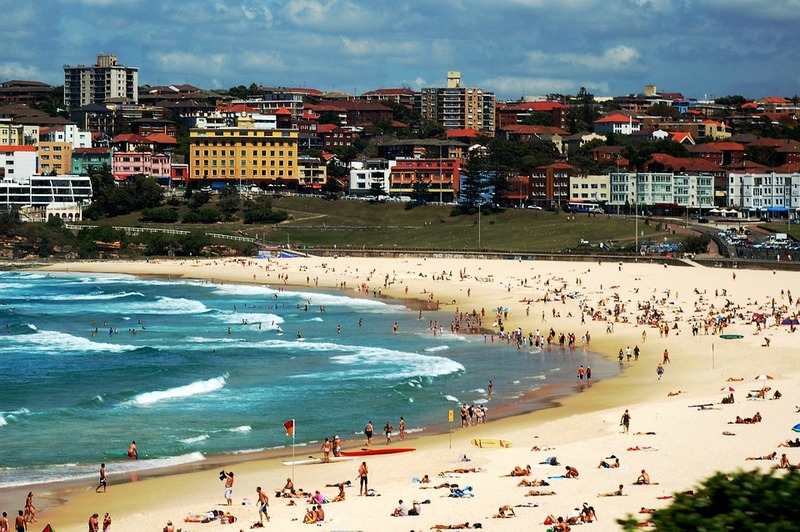 Bondi stands as one of the greatest beaches in the world. Land and ocean collide as the Pacific swells on to the beach where everybody is having fun on the sand! Bondi is the closest ocean beach to a city center, just 8 kilometers from Sydney, and has consistently good waves -although you will need to bear in mind that, because of this, they are crowded, too. It is a wonderful idea for a swim, and, if the sea is too hectic, there are saltwater sea baths on either end of the beach for you to enjoy as well. The Melbourne Cup is Australia’s most distinguished Thoroughbred horse race. It extends over 3 200 meters, and horses aged three or more take part. It is hosted by the Victoria Racing Club on Melbourne’s Flemington Racecourse, and is a part of the Melbourne Spring Racing Carnival. This race is the richest two mile handicap in the world, and one of the richest turf races as well. It kicks off at 15h00 on the first Tuesday in November, and is locally known as ‘the race that stops a nation’. Everyone bets on this race, and the festive atmosphere makes it all the more fun. Cox Plate betting aside, simply attending this Moonee Valley Racing Club Group 1 Thoroughbred horse race is an experience in itself! The animals taking part in this weight-for-age race are all at least three-years old, and they race across a total of 2 040 metres to determine the winner. It takes place in late October, and is the second-richest weight-for-age race in Australia, with the winner taking stake money totalled at AU$3 000 000! Cloaked in a blanket of winter snow, Kunanyi, or Mount Wellington, towers over Hobart at a height of 1 271 metres. If you are a fan of outdoor adventure, then welcome to heaven! You can hike, you can bike, and you can also just take in the majesty if you prefer. The view from the top is incredible, and can be reached by car along a sealed road. The Hobart Shuttle Bus Company also runs two-hour tours to the summit on a daily basis.